On December 4th and 5th, the partners of the Let’s #BEACTIVE project met in Brussels to evaluate the results of the 1st trials. Each of the partners gave a brief overview of how the trials went and how they’ve overcome the issues they stumbled upon during the campaign. The meeting was a perfect platform for the exchange of good practices. The partners engaged in lively discussions on how to improve the trials for next year, tackling a whole range of topics, from reinforcing the effectiveness of the communication campaigns to streamlining the feedback loops. The results of the first trials are very promising, but naturally there still is clear margin for progression. 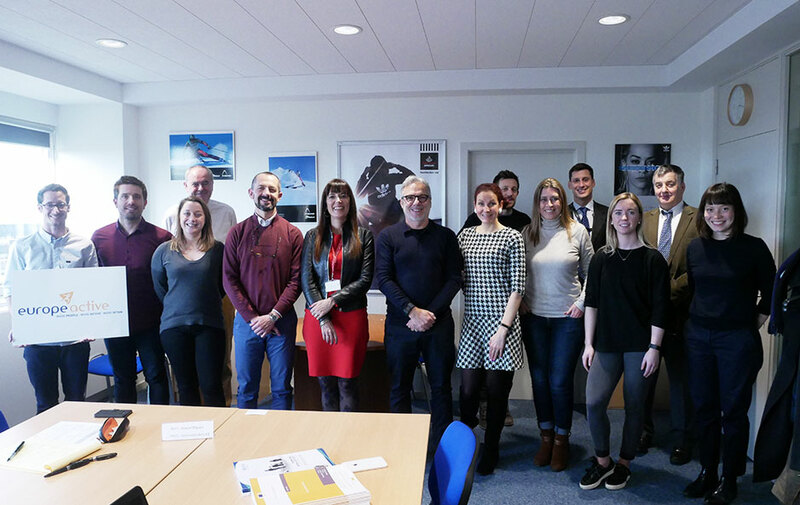 Together with the representative from Technogym, the technology supplier of the Let’s #BEACTIVE project, the partners looked at ways to improve the effectiveness of the Let’s #BEACTIVE app. After two intense days of exchanging ideas and learning from each other, everyone is ready to make the Let’s #BEACTIVE project an even bigger success next year. The partners of the Let’s #BEACTIVE project are ready to get more people, more active, more often in 2019.